unornamented outer, and smooth and shiny inner surface. 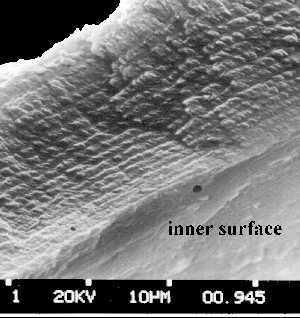 SEM studies show laminar structure of the wall. additional information on the nature of the laminae. and up to 15 cm long. of the living tube of Beklemishevites grandis. For fossil Pogonophora from Poland see also HERE.